This radical claim is being made by some doctors and other health care professionals. While the claim seems extreme, it is not unfounded. 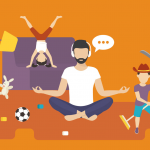 Recent studies show that both high activity level and low leisure time sitting are the MOST beneficial for lowering risk of obesity and metabolic diseases like diabetes. 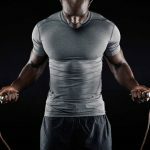 In other words, you must stay active in between workouts to reap the most benefits. One way to stay active, get work done, save time and improve your health is by using the best treadmill desk. 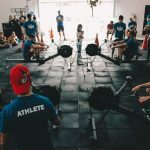 How are Desk Treadmills Different from Treadmills at the Gym? 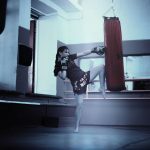 How do I Choose the Best Desk Treadmill? 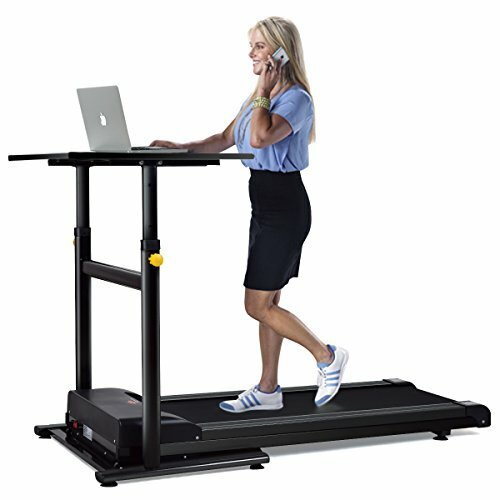 What Features Should I Look for while Searching for the Best Treadmill for Walking Desk? The choices and configuration options for treadmill desks are numerous so we plan to explain the options available to you. 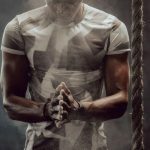 We will also show you what to look out for before selecting the best desk treadmill and review all in one solutions, treadmills and the best walking desks. 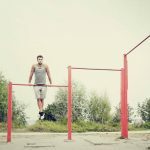 Motor – The best treadmill for standing desks have a stronger motor than a treadmill at the gym. That sounds counter intuitive, right? 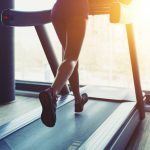 However, walking puts far more stress on a treadmill than running. That is why desk treadmills are designed with higher torque motors. If you use a regular treadmill at the desk you may find yourself replacing the treadmill far before you intended. 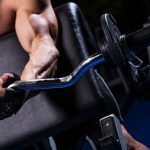 Handles – Since desk treadmills go under the desk, the handles on a standard treadmill get in the way. Desk treadmills have no handles or the handles are integrated into the desk, for some all in one units. 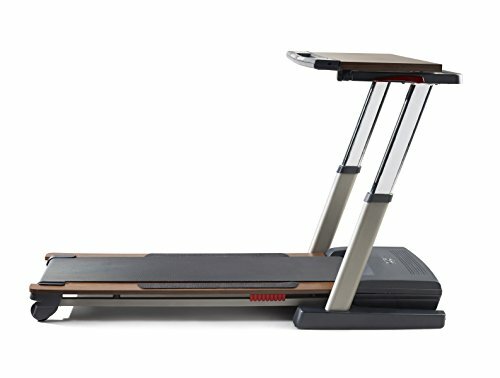 LOW Profile – The best treadmill for walking desk are built with height in mind, and sit lower to the ground than most standard treadmills. Lower height decks need lower height desks. The desk and treadmill are one unit, no need to shop for two pieces. Usually less expensive than buying both components separately. The desk on all in one units is generally smaller, and has less adjustment than stand alone. The desk on an all in one unit is often not as stable as stand alone desks. There are a large variety of standing desks so you have more choices, such as ergonomically shaped desks, desks with special keyboard trays, larger or wider desks and so on. Stand alone desks are generally larger and sturdier. Stand alone desks often have either crank or electric adjustments and are easy to adjust. Stand alone desks often have a wide adjustment range, meaning the desk allows for sitting, standing or treadmill use. With stand alone desks you can move the treadmill out of the way and stand, or sit. Whichever option you choose you need to find out if the desk adjusts to your standing height, plus the height of the treadmill desk. We noted in the reviews which models work well for which heights. 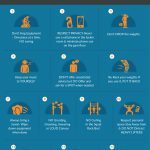 When standing on a treadmill at your treadmill desk, your hands should be able to rest on the desk or keyboard at a level just below your elbows. A desk that will not lower or raise enough to accommodate this position may cause problems. This is how much the desk can safely hold. It ranges from 50 lbs up to 220 lbs. Consider the work equipment you plan to place on the desk so you know if the solution you choose will work with your equipment. 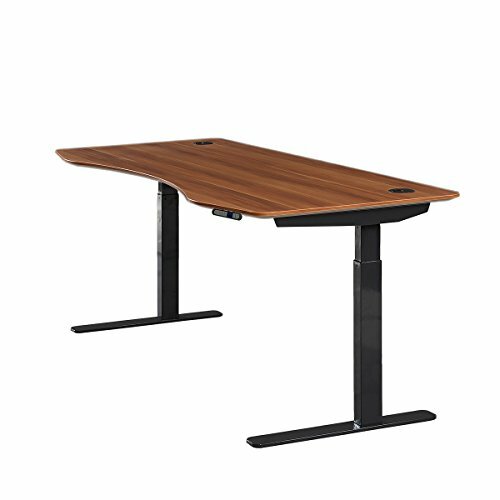 Stand alone desks have a crank, electric or pneumatic lifting mechanism that has it’s own weight max, apart from the actual desk top. It can vary quite a bit, from 35 lbs to 220 lbs. For the lower weight capacity, you may need to remove equipment to adjust. The best walking desk models usually lift more weight. This is your weight. 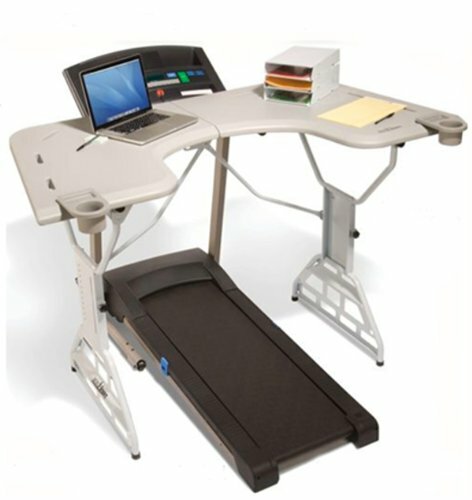 We have seen treadmill desks that have a max user weight capacity of between 220 to 400 lbs. We listed this in our review. This applies to stand alone desks. 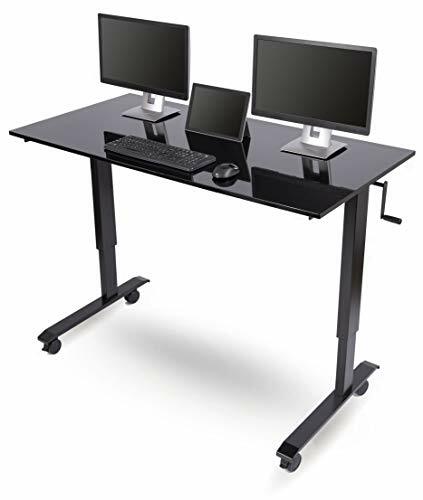 Electric Lift desks are more expensive, but they are also faster, quieter, lift more weight and require no manual work. Crank lift desks are less expensive, but require you to crank a handle to lift the desk, similar to the handle used to roll your car windows up, back in the day. Pnumatic lift desks use air pressure to lift the desk, This is nice but…. They only lift 35 lbs, so you may need to clear your desk off first. This style is also very economical. 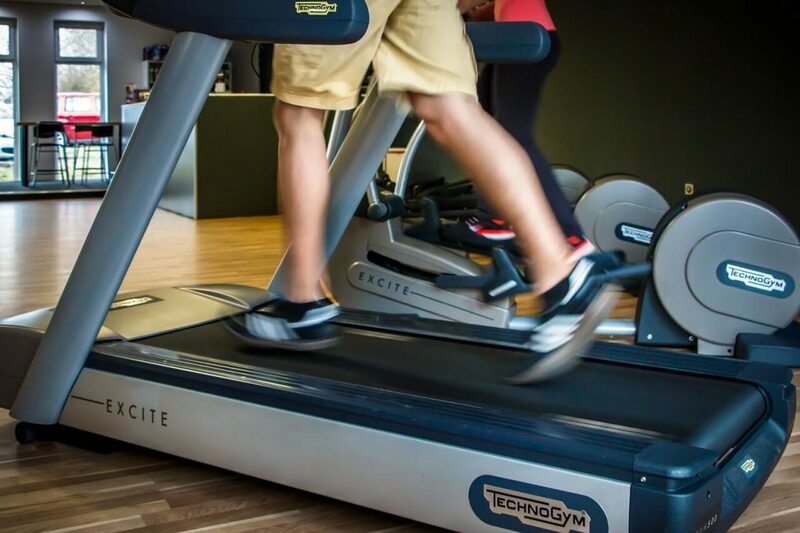 Noise level If you have every used a treadmill at the gym you probably noticed that treadmills can be a little noisy. 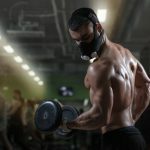 Under desk treadmills are designed to be much quieter, but as with most things in life, the more money you are willing to shell out, the quieter they will be. Higher end stand alone treadmills designed for treadmill desks are super quiet, especially compared to the gym models. 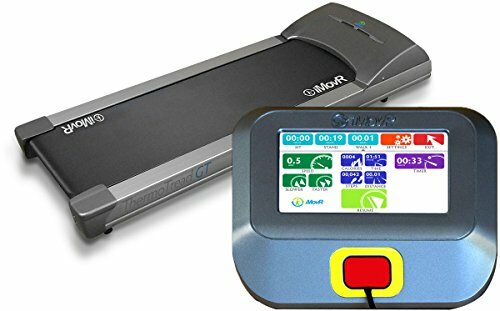 Review: This slim, elegant iMovR under desk treadmill has a low profile, operates quietly, and has a state of the art user interface that allows you to control the treadmill from the desk. If long life and a quiet, discreet treadmill are your priority, this is your under desk treadmill. 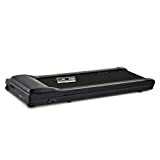 Review: This mid range under desk treadmill has several features of higher end models, including desk module and very low profile. The user interface needs some work, it does not save data, has no pause function if you take a break, and is awkward to navigate. 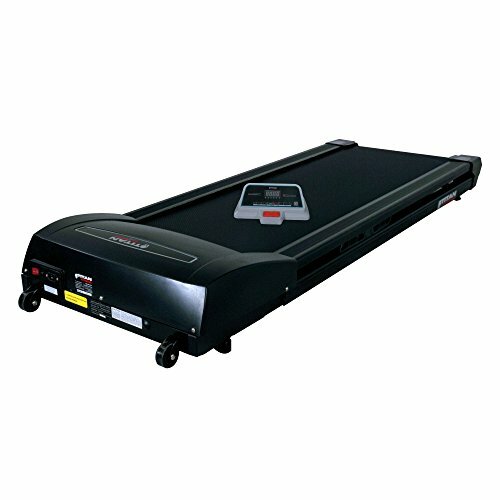 A value priced treadmill that runs quietly and has solid construction. Review: The Lifespan TR1200-DT3 features a long lasting strong 2.5 HP motor, designed for the demands of a walking only treadmill. It also has a small desk top console. The user interface is bare bones, does not save data and gives a loud beep any time you make an adjustment. A solid under desk treadmill that will last for many years. Our pick for the best treadmill for standing desk. Review: The all in one versatile Nordic track Desk Treadmill features a treadmill that stows up behind the desk vertically so the desk can be used as a standing or sitting desk. This is a High quality all in one unit for walking, standing and sitting while you work. Review: This all in one solution features a great price and folds up neatly for storage. This treadmill desk is a great way to dip your toe in the water, so to speak. The best treadmill desk solution for the smallest price and the budget priced solution for tall folks! Review: This value prices all in one solution will not take up much space and operates quietly, making it ideal for the home office. Although the desk height is adjustable, it may be a stretch for very tall people. The max height between the deck and desk is 46”. 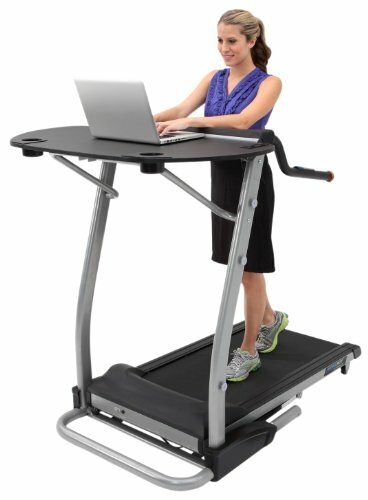 A great solution for someone who wants to give the treadmill desk a try without investing too much money. Review: This innovative desk has many features other desks do not, like an integrated document holder and three level file. Plus it utilizes space well by wrapping around the user in a U shape. The desk may be too large for some. Not necessarily a bad thing for everyone, just something important to consider. This treadmill desk has solid construction, plenty of space, and several value added accessories that make it a winner. Review: This simple rectangular Gloss black desk adds a stylish touch to the office. A beautiful, well built, roomy desk for a desk treadmill. Review: The Omega Everest electric desk quietly lifts and lowers, includes an ergonomically designed adjustable keyboard tray tilts to 85 degrees and has a tall max desk height at 51”. The smart solution for the professional who cannot spare time adjusting the desk and be bothered any wobbling. Review: This Apex desk adjusts electronically, has a max height of 48” to accommodate a treadmill, and has a 220 lb capacity. Finely crafted, programmable adjustment and rock-solid construction make this treadmill desk the best treadmill desk in the mid-range. Review: This value priced standing desk from Stand Up Desk Store adjusts to a max height of 44.5” allowing room for a treadmill. A Sharp alternative to much more expensive desks. 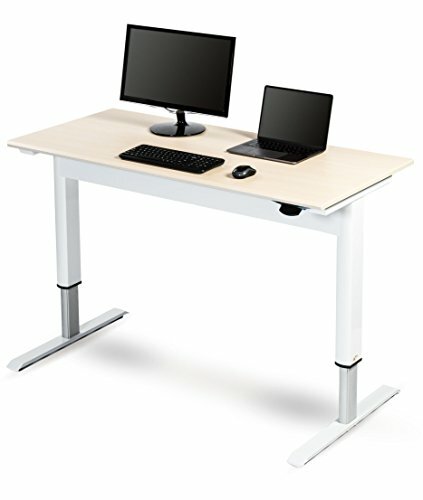 One of the best walking desks at a value price. 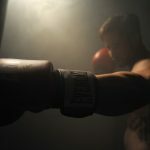 Don’t put it off any longer. The treadmill desk is an excellent solution to solve the time crunch issues common to us all. Work and workout at the same time. Order the best treadmill desk for you today! Drop us a line in the comments below and let us know which solution you picked out.